Not all wool yarn is created equal. The softness of the fiber has so many variables, from the breed of sheep to how the fiber is processed and treated. In addition, wool fiber has scales just like human hair, it can be fine or corse with long or short lengths. Any of these variable will impact whether the yarn feels scratchy, itchy, or prickly agains the skin. Did you know that gently washing your finished project can really have an impact on the softness of your finished project? Now, it's not going to turn a rustic wool into cashmere, but it will soften the fiber and allow it to bloom thus providing the best version of that particular yarn. We'll accomplish this by giving it a full wet blocking (aka a good soak). It will allow the fiber to relax and bloom showing off it's full beauty. Wet blocking will also even out most minor stitch imperfections, too! 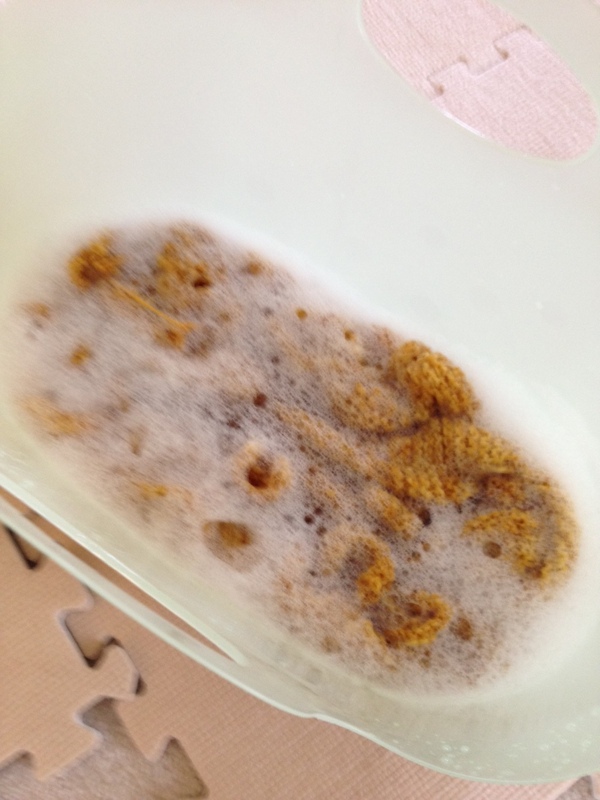 Fill your basin/vessel with tepid water and add a drop or two of a no-rinse wool wash (image, above left). Immerse garment by pressing your hand over the garment gently (once or twice is good) to release any air bubbles, then allow it to relax in the bath for 15 min (no longer). Drain the water and gently lift the garment onto a bath towel as above. Fold the towel over in thirds and then just roll into a jellyroll shape, pressing out the water as you go (images above, center and right). Give it a try! Let me know how this method worked to soften your garment.